Sign up with Protonotes in less than 10 seconds. All you need is an email address. It's free. 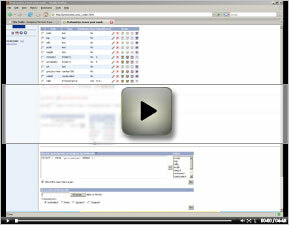 See how easy it is to configure Protonotes. Add, edit, delete notes. Slap notes on your prototype and make it a requirements conversation. Try them out in this sandbox page. Protonotes are notes that you add to your prototype that allow project team members to discuss system functionality, design, and requirements directly on the prototype. You can think of it like a discussion board/wiki in direct context of your prototype. Everyone on your team can easily add notes to your prototype - helps the entire team collaborate quicker and easier. Project team members don't have to install anything or sign up for anything to use it. It just works. It's not bloated with extra "features". It does one thing and one thing well - adds notes to your prototype. Works in all major browsers including Firefox, Safari, Internet Explorer, and Opera. Export your data at any time to a .csv file. Subscribe to your group's notes with a Protonotes RSS feed. There are a bunch of Web annotation services out there but they require the installation of a browser plug-in or the use of a bookmarklet. Try to get everyone on your project team to do that. These services are all geared for individuals (not teams) to annotate webpages. 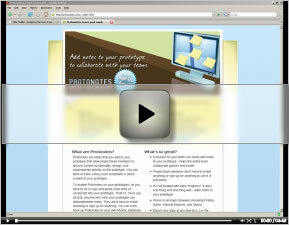 Protonotes tackles Web annotation from a different angle. The functionality is enabled once from the website itself and all visitors can seemlessly add notes. No sign-ups or installs. Works on all major browsers. Mentioned in the Wall Street Journal article, "A time for sharing". Become a fan of Protonotes on Facebook.